Video Buzz consolidates news and stories together into a single format. Now both stories from artists and partners and news will all be in a video newsfeed. Listening Parties have some tweaks and bug fixes to make the feature easier to use. Arena Revamp + Update - reset everyone back to zero Valor Medals, gold chest for every first stage promotion. Buzz - we have a new feature for currated selection of music news for our users to read and discuss. Party - we have a new feature for users to listen to new music together. We hope to bring in artist hosts in the near future. Limited to Spotify Premium or Apple Music connected users. Avatars in Interactive Albums: We're adding avatars back into Interactive Albums! You will see your avatar dancing along with you as you move through the experience. Interactive Album Finish Rewards: Select albums will give the first players to finish a special limited edition avatar item. We'll be featuring this feature with the next upcoming event. We spent half of our time in the last few weeks fixing many bugs and crashes. Multiple Event Interactive Albums: We're changing the name of our "showcases" to "interactive albums". Interactive Album Chat: We're adding a real-time global chat to some interactive albums. Additionally, we spent half of our time in the last few weeks fixing many bugs and crashes. As always, we're committed to introducing new music several times a week now and we hope everyone is enjoying the plethora of new content this month. -- Hopefully you will see similar quality of life improvements! 20+ New or updated Showcases in July!!! -- Boost animation is back! -- Lane animations are back! 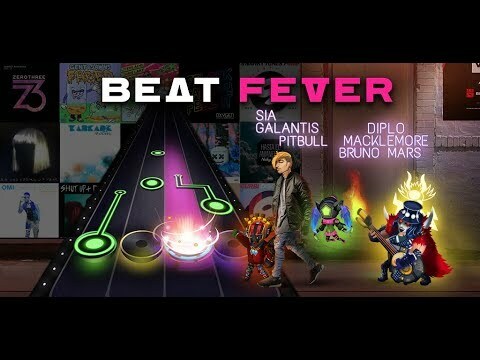 We've got a massive new update for you, Beat Fever Family! Beat Family, get hyped for a brand new update! Get ready for a new year with new music!Experience tons of new music and new quest filled zones in our brand new Showcases, featuring songs from Dim Mak Records, Deadbeats Records, Spinnin Records, EDM.com and more!Major store update! You asked for it, we delivered.Read more about it here: http://bit.ly/2ATpaXFHope your fingers are ready. It’s time to play! 1.5.0 - Brand new content and challenges! Massive new update is now live!Please go to http://bit.ly/2hzMTok for a full change log and list of updates!Everyone's favorite bug fixes & device performance enhancements are also included!That is all for this update, thank you!----We update the app as often as possible to make it faster and more reliable. Please turn Automatic Updates on to ensure you are running the best version of Beat Fever available. Better sit down for this update, it’s MASSIVE.Please go to http://bit.ly/2g66WdC for a full change log and list of updates!Everyone's favorite bug fixes & device performance enhancements are also included!That is all for this update, thank you!----We update the app as often as possible to make it faster and more reliable. Please turn Automatic Updates on to ensure you are running the best version of Beat Fever available. 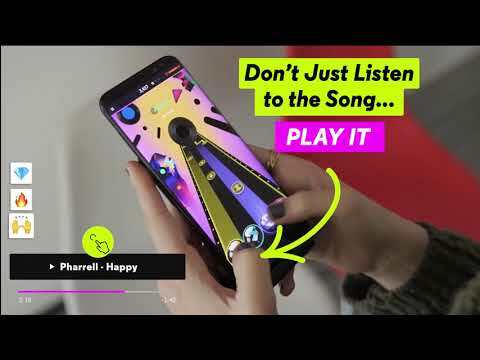 Play the biggest hits from the biggest artists including Sia, Zayn Malik, Pitbull, Zhu, MGMT, Kaskade, Macklemore, Andy Grammer and many more. 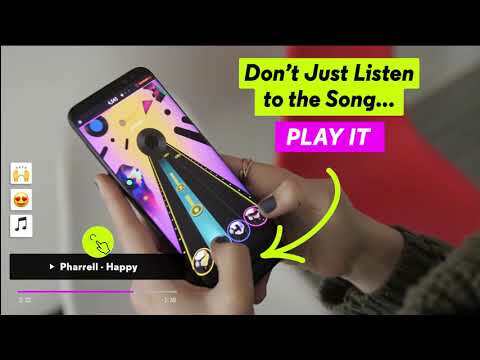 Enter live battles with friends and show off your skills in our global leaderboard!Tap to the music with Beat Fever. A new music rhythm game with EDM, Pop, Hip Hop, Rock, Classical and more!